Attorney Jim Garver is certified as a specialist in the practice of workers’ compensation law by the Pennsylvania Bar Association’s Section on Workers’ Compensation Law. He was also voted for inclusion in the 2011-2019 editions of The Best Lawyers in America®, an honor based on rigorous peer review. Before joining Edgar Snyder & Associates, he worked for a work comp defense firm. This past experience means Attorney Garver knows what to expect during his clients' cases every step of the way. He makes sure his clients don't have to navigate any part of the workers' compensation or Social Security disability systems on their own. His job is to make sure all of your bases are covered so you don't have to. Attorney Garver received a Juris Doctor from the University of Pittsburgh School of Law. He earned his bachelor's degree from the University of Pennsylvania. He is licensed to practice law in all State and Federal Courts of Pennsylvania. 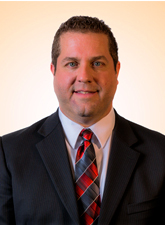 Attorney Garver was born and raised in Blair County, Pennsylvania. He is assistant junior high girls basketball coach at Claysburg-Kimmel and also coaches youth softball in Claysburg.